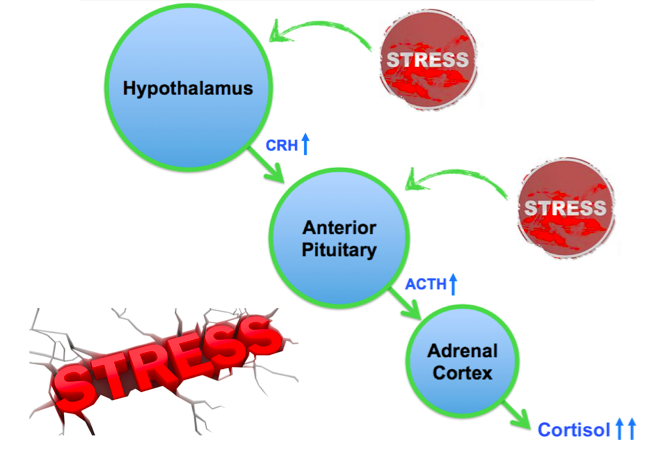 Adrenal crisis is a life-threatening emergency due to an acute deficiency of adrenocortical hormones, namely cortisol and aldosterone, which can be fatal if not diagnosed early and treated aggressively. Classically it presents as severe hypotension refractory to IV fluids and vasopressors. 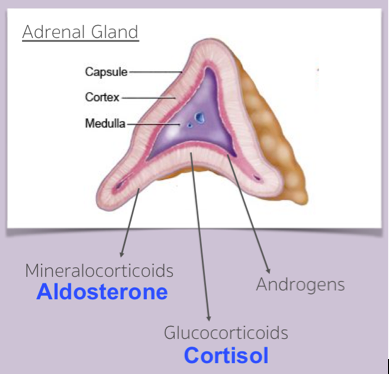 Adrenal glands produce mineralocorticoids (aldosterone), glucocorticoids (cortisol) and androgens in the outer cortex. Catecholamines are produced in inner medullary zone. Classified as primary or secondary in etiology, but both types can lead to adrenal crisis. Sharma AN, Levy DL: Thyroid and Adrenal Disorders, in Marx JA, Hockberger RS, Walls RM, et al (eds): Rosen’s Emergency Medicine: Concepts and Clinical Practice, ed 8. St. Louis, Mosby, Inc., 2010, (Ch) 128: p 1676-93. Allolio B. Extensive expertise in endocrinology. Adrenal crisis. Eur J Endocrinol. 2015; 172(3): 115-124. PMID: 25288693. Arlt W, Allolio B. Adrenal insufficiency. Lancet. 2003 May 31;361(9372):1881-93. PMID: 12788587. Tintinalli JE et al. Adrenal insufficiency and adrenal crisis. Tintinalli’s Emergency Medicine: A Comprehensive Study Guide. 2011; 7. Torrey, SP. Recognition and management of adrenal emergencies. Emerg Med Clin North Am. 2005 Aug;23(3):687-702. PMID: 15982541. Tucci V, Sokari T. The clinical manifestations, diagnosis, and treatment of adrenal emergencies. Emerg Med Clin North Am. 2014; 32(2): 465-484. PMID: 24766944. Are there no references for this? Jeff – good question. The information here was from Rosen’s and we’ll update that on the site.